“The Story of Christmas” op. 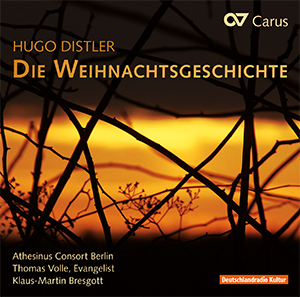 10 was one of the most popular religious works of the young Hugo Distler, and with its moving tenderness it is one of the most attractive oratorios which can be performed by any and all a cappella ensembles during Advent or Christmastime. 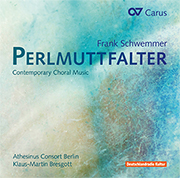 The complete story is told by a narrator, which Hugo Distler employed after the manner of an early baroque model of a passion, is performed by an a cappella choral ensemble. 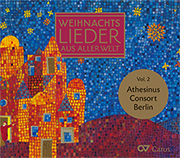 On the present recording, the Athesinus Ensemble Berlin, which also provided the soloists in the oratorio, performed with convincing expressivity, warmth, flawless intonation and an extreme vocal flexibility. For lovers of Distler or anyone looking for a beautiful Christmas album, this album is one to own. Seine verblüffende Reaktionsfähigkeit bei abrupten dynamischen Wechseln und eine blitzsaubere Intonation auch in den exponiertesten Lagen stellt der Chor schon in der Eingangsmotette unter Beweis. Bresgott's [...] attention to the craft of the piece is evident but never overshadows the music itself; his passion and enthusiasm for the music is evident [...]. 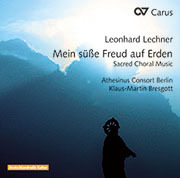 Thomas Volle als Evangelist und das Vokalensemble Athesinus Consort Berlin unter Klaus-Martin Bresgott geben eine sehr klangvolle und intonationssichere... Interpretation. 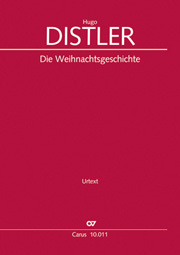 Nur selten wird man die Weihnachtsgeschichte von Hugo Distler so mitreißend hören können.